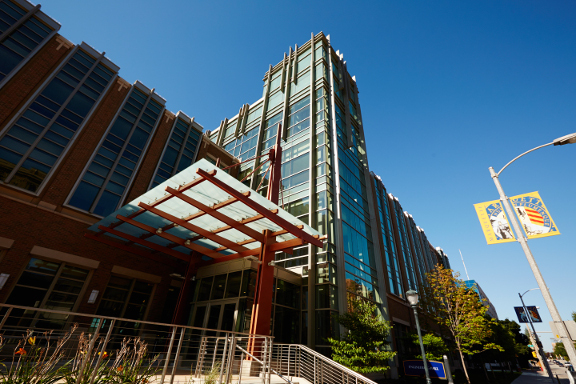 A partnership between Marquette University and Integrated Test and Measurement (ITM) has turned a campus building into a living laboratory where the next generation of structural engineers can perform large-scale experiments and get real-time results from the very building where they are learning. 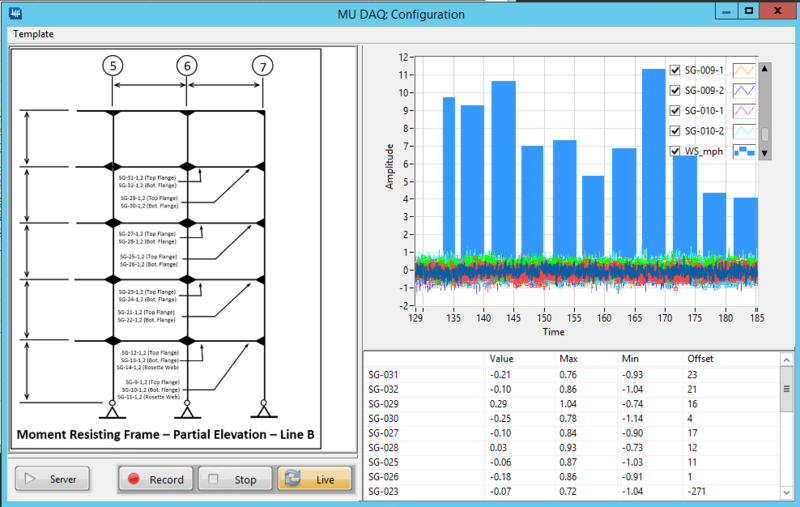 ITM integrated its custom iTestSystem software as part of a novel building monitoring system that logs data from a weather station together with more than 120 strain gauge sensors that were installed along beams, braces and columns inside Marquette’s Engineering Hall during construction. Wires from these sensors were routed to a central data collection system, a National Instruments Real Time PXI. The five-story structure near the heart of this Milwaukee campus not only measures wind speed; it can actually “feel” the wind load during gusts, then records the impact on the facility. 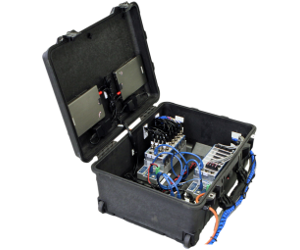 That data is then broadcast in real time to anyone plugged into the servers, which ITM’s Lead Programmer Mark Yeager configured to allow 50 or more students and faculty to connect through their mobile device to the building DAQ system. Organizers explain that the building literally comes alive with data on windy days and during experiments, thereby allowing brand new modeling possibilities, not to mention hands-on teaching opportunities. As a teaching tool, this “smart” building is exceeding expectations by giving students a real-world look at concepts in action. 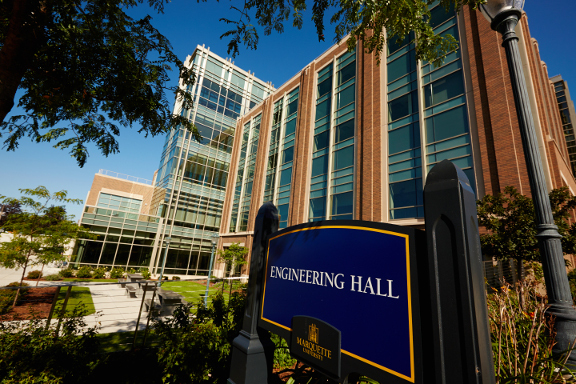 “We knew it would be an essential learning tool if we could make it work,” says David Newman, Managing Director of Marquette’s Engineering Materials and Structural Testing Laboratory. Newman credits ITM for helping their group ask better questions, particularly when it came to programming experiments. By observing the data, students will learn how a building’s systems “share lateral load” during wind events, which may inform future building design through potential building code input and perhaps even improve the ability to withstand high winds and earthquakes. ITM was also able to program triggered event logging that would gather more information in the instance of high winds or an earthquake. Instruments along the beams that support the crane runway in the Engineering Materials and Structural Testing lab will show students how to analyze moving loads as they watch how the beams respond to the weighty crane being moved around the bay. 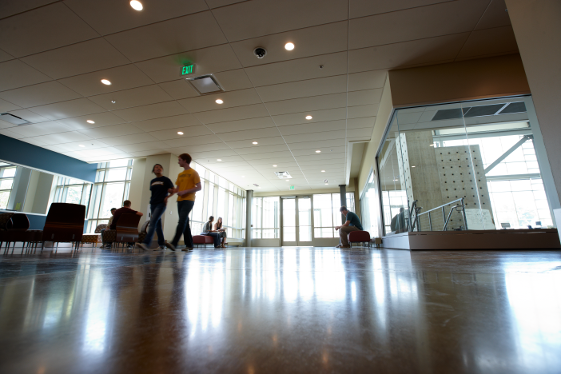 Perhaps even more impressive, sensors in the floor framing system even allow students and researchers to better understand the impact of loading as people move through a building. Foley and Newman agreed that ITM’s demonstrated success acquiring data through remote monitoring — often in extreme environments and involving massive vehicles such as mining equipment — and the firm’s familiarity with National Instruments made the Milford, Ohio, group a natural choice for the contract. In terms of the potential impact of the project, the educators explain it will be their goal to share knowledge that is gained from the building as widely as possible. “If you think about the potential broader impact of the use of this building as a teaching tool in degree programs related to structural engineering and for professionals working in analysis and design of buildings, I don’t think you can even entertain a measure of that impact,” says Foley. 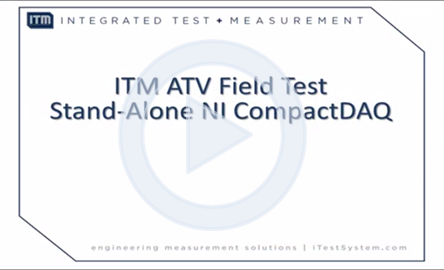 ATV Field Test Using ITM's iTestSystem Software and NI StandAlone CompactDAQ Data Acquisition Hardware.